February, 15. 2019, 6 p.m. The film is based on a true event… . According to the story … from Telangana, on May, 25. 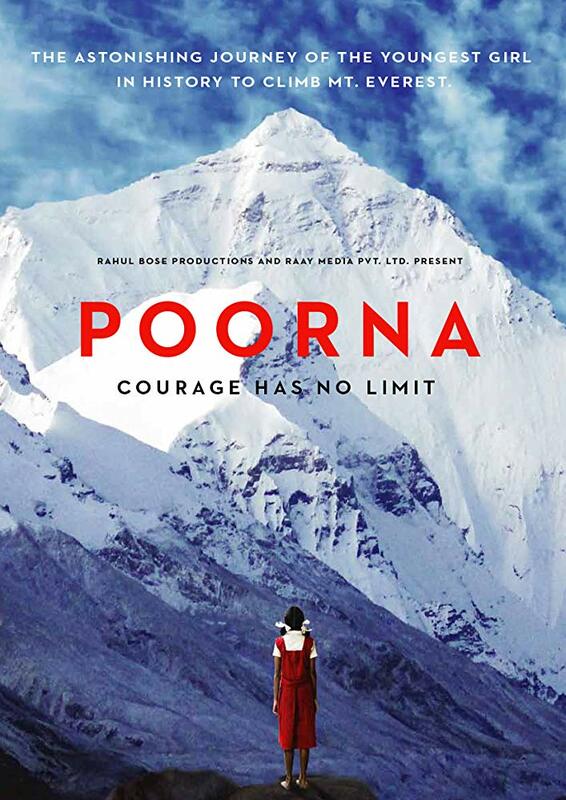 2014, Poorna starts off to scale the highest peak of Mount Everest at the age of 13 years and 11 months, and becomes the only young Indian girl and youngest girl in the world to have reached the summit of Mount Everest. Standing alone, that an Indian young girl makes up her mind up to climb the rural landscape of Mount Everest. Nothing could stop her from the heroic journey and she made it. This movie shows that Aditi Inamdar staring in the lead role as Poorna carved her way out to achieve her dreams giving courage to those women whom are dreaming about to get out from their mission impossible life! After 16 years, director Rahul Bose recognizes the beauty to put this rare story on film canvas. The grounded performances combined with stirring music elevate this relatively straightforward to a true “Tale of Life”. By-the-way, pretty unusual to play the lead role by a young girl, cause if we go back into the tunnel of film history, the adventure films were only played by well-known movie stars from the 1930-40’s. and still to-day. Italian Master: Caravaggio - Soul and Blood - Budapest.